« What do Traditional Publishing and the Musical Annie have in Common? Many of you have been following my Indie Pub series and my Kickstarter series, so you’ve probably put two and two together by now. 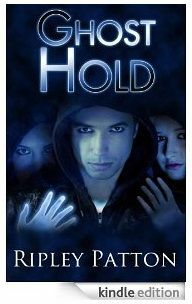 Yes, I am running a Kickstarter Project for the publication of my YA novel Ghost Hand. Don’t worry. You haven’t missed anything. The project isn’t live yet. I am currently waiting on the Great Machine known as Amazon (the venue Kickstarter uses to process payments) to approve my bank account. And apparently, there is some snaffoo with my home address. Amazon doesn’t like it. It wants me to live somewhere else. But I don’t, and I don’t really want to lie about it just to make them happy. So, we’re having a little “discussion” about that at the moment. Even after I get Amazon’s approval, my project must be reviewed by Kickstarter itself (which takes a day or two), so yeah, everything is ready and now its just a waiting game. So, while I’m waiting, I thought I’d pass on a little hands-on Kickstarter wisdom I’ve picked up since this whole process started. 1. Start Your Project Early. Originally, I wanted to start my project on July 4th, but I couldn’t get my video done by then. My second goal was July 15th, and I did actually have the input for the project done by then (just barely). But then there was the whole Amazon hoop to jump through, and the Kickstarter approval. So, if you have a specific start date in mind, I’d start inputting your project info at least two weeks before that. 2. Back A Few Projects Before You Start One. Backing a project and watching it run as a backer can really give you some insight into how the whole thing works. What attracted you most to the project you backed? Remember to incorporate that into your project, if you can. What repelled you from certain projects and kept you from backing them? Stay away from that in your own. Also, when you start a project, your profile as a project owner shows your backing history. I know for me, if I see someone running a project who has never backed one, I’m much less likely to back them. Their asking me to do something (give a stranger money for a creative project) that they aren’t even willing to do. I like to see that someone is invested in the idea of Kickstarter, not just their own interests. Worried about how much it will cost to back projects? I mean, you need money, right? You can’t afford to spend it. The good news is you can back projects for as little as a dollar. Doing that five or six times isn’t going to cost you much, and it will still give you a feel for what it is like to be a backer. And your backing history doesn’t show how much you backed things for, just that you backed them, so don’t worry about looking cheap. 3. Involve Other Creatives In Your Project. The likelihood is, if you are a creative person, you have friends who are into the arts as well. Maybe you are an artist and you have a writer friend. Maybe you are a writer and you have a musician friend. Maybe you are a musician and you have a friend who is a dancer or a film maker. Don’t hoard your project. Share it. Invite your creative friends to be a part of your project. Ask them if they’d like to contribute to the project in some way- maybe create a reward that compliments your project (like a sketch or short film). The more people invested in your project, the better it will be. The more people invested in your project, the more backing you will get because you are not only tapping into your field of influence, you are tapping into the fields of multiple artists and mediums. Collaboration is rich and rewarding. 4. Don’t Sweat the Video. The important thing about the video is that you have one. The second most important thing is that you are in it- that you show your face and tell your story. Now, as an extreme introvert, this one was hard for me. I really don’t like to be filmed or put myself all over the internet. I lost several nights sleep before we “filmed” filled with anxiety over the video piece. But I can tell you from experience that I don’t back projects where the person doesn’t show themselves. A book trailer isn’t good enough. Even a voice-over doesn’t do it for me. I want to SEE who I’m backing. I want that personal connection. The second thing about a video is the technical side. You can make your video with your laptop’s little build in webcam. Just make sure you can be seen and heard. In my case, I am lucky enough to have a son who does YouTube videos, so he already had a nice webcam and sound system. Even so, we had some technical difficulties and it took us several days to get a decent take. I would also advise you not to get angry or overly frustrated with your IT guy, especially when he is sixteen, your son, and is doing a damn good job. Some things we have to learn the hard way. 5. Come Up with Decent Rewards. Your heartfelt thanks is not a reward. It is a common courtesy. Karma is not a reward (at least not from you- the Universe gives that). You should come up with a tangible, physical reward for your lowest Reward level, even if it is as simple as a signed postcard featuring your project or art. Use Vista print for this. They’re cheap. You can download your own logo or visual. 100 large post cards will cost you next to nothing. Another good idea is to target your rewards toward your audience or backers. I have a lot of writer friends, so several of my rewards are geared toward writers. My book is YA, so I am going to incorporate some rewards that teens might specifically enjoy. But since not everyone reads YA, and most younger teens don’t have their own credit card, I’ve put in a reminder that people can give their rewards as gifts to someone else. It is also a good idea to hold some rewards back and use them as incentives as the project builds. I have several rewards that I’m not going to offer until part way through the project. This gives current backers a reason to go have another look, as well as drumming up more interest from new backers who see something “new” is happening. 6. Break Up Your Text with Visuals. The eye gets bored with a huge chunk of text. So, for your text piece of the project – the story part- be sure to include some visuals to break the text into bite-sized chunks. Include some large images as the top and bottom, like book ends. For my own project, I’ve included a teaser picture of my book cover at the top, and a visual of the title at the bottom. I also divided my text into topics and marked the end of each with a visual divider strip that matched the theme of my book cover. All this is pleasing to the eye and gives it a sense of moving from one thing to another, rather than just reading in place forever. 7. Be Sure To Have Someone Preview Your Project. Kickstarter has this great feature called Preview. When you have everything entered into your project, and you think it is polished and perfect, it gives you the option to share a preview link with a few select friends. They can go look at it just as a backer will see it (and so can you). Be sure to use this feature. I sent my preview link to three friends. One who is an editor and caught two typos I hadn’t. One who is a Kickstarter connoisseur and had some great insight into making my project better. And one friend who had never seen a Kickstarter project in her life. Each one of them gave me good feedback. I don’t know how many projects (especially writing projects) I HAVEN’T backed because the person didn’t even have someone check their content for copy-editing errors. Why would I back a book from someone who doesn’t even take the time to check their work? 9. Have a Sense of Humor. Don’t take yourself too seriously. Have fun. Use your natural sense of humor in your video, in your text and in your rewards. Most people approach art with a sense of wonder and whimsy. It isn’t life or death, it is a celebration of the beauty of humanity. However, be careful with humor. Don’t come off as cocky by bad-mouthing others work or effort (even vaguely). Maybe you don’t like Twilight or War and Peace or you despise romance novels, but it is likely that someone who might back you likes them all. By making that joke about how bad they are, you have just alienated someone who might have given you money. And don’t come off as too self-deprecating. Sure sometimes this can be funny, but do I really want to back someone who goes on and on about how bad they are at what they do, or how little they deserve the money. In order for me to believe in you, I’d like to see that you believe in yourself. Otherwise, I seriously doubt you’ll get your project done. 10. Use the Update Feature, But Use it Wisely. The update feature on Kickstarter allows you to keep your backers in the loop about how the project is going and any new developments. Recently, I backed two Kickstarter projects, both who misused this feature in very different ways. The first project bombarded me with updates (one every other day) that mostly consisted of asking me to promote the project or give more to the project. They weren’t so much updates as they were nagging. And the frustrating thing is that I had already backed the project with everything I could give. By the end I felt annoyed by the updates and didn’t even look at them. If you are going to update people who have already backed you, give them some good news. Tell them how much you’ve raised, or about a new reward, or offer some tidbit about the project that isn’t on the project page. Give them a reason to feel thankful they backed you, not regret it. The second project’s first update informed me that the project had just ended and it hadn’t made its goal. That was the first update. They hadn’t sent out a single update DURING the project. And it was this really cool amazing project, that I might have been able to give more to if I’d had any idea what was going on. So, yeah, use the update feature, but don’t abuse it. 11. Don’t forget to Promote Yourself. No one knows you have a Kickstarter project unless you tell them. Most Kickstarter backing comes form people you know- friends, family, coworkers, friends of your friends. Sure, sometimes someone will stumble on your project and back it, but most of your money will come from people who already know you in some way. But you have to tell them it exists, and e-mail is the best way. A blog works too. Guest posting on as many blogs as you can is even better. Twitter is good. And Facebook. But don’t hold back, and don’t be annoying. Just let people know what you are doing and invite them to help. 12. Don’t Forget to Ask Others to Promote You. Sometimes people can’t back you. They just don’t have the funds. But they probably have the internet. They’re probably on Facebook and Twitter, or they have an e-mail account. And that means they can promote you. Be sure to have a note at the bottom of your Kickstarter or at the end of your video, asking people who can’t give to promote your project. It doesn’t cost them anything but a few minutes to Tweet about your work. And be sure to ask your backers to promote you. After all, they believed enough in the project to back it themselves. They could probably recommend it to a couple of friends, and there is nothing like word-of-mouth for making a project build. But don’t nag them. Ask them when they first back you, and remind them when the project is nearing it’s end. So, that’s what I’ve learned so far, and I’m sure I’ll learn even more when my Project goes live. Don’t worry. I’ll be sure to let you know when that happens. Happy Kickstarting, and if you would like to read the rest of my Kickstarter series they can be found here: Twelve Things I Bet You Didn’t Know About Kickstarter, Using Story to Drive Your Kickstarter, Keeping the Charity Out of Kickstarter, 8 Reasons I Didn’t Back Your Kickstarter.